BLOG Koh Tao Diving: Useful Tips To Get Your Scuba Licence Now! 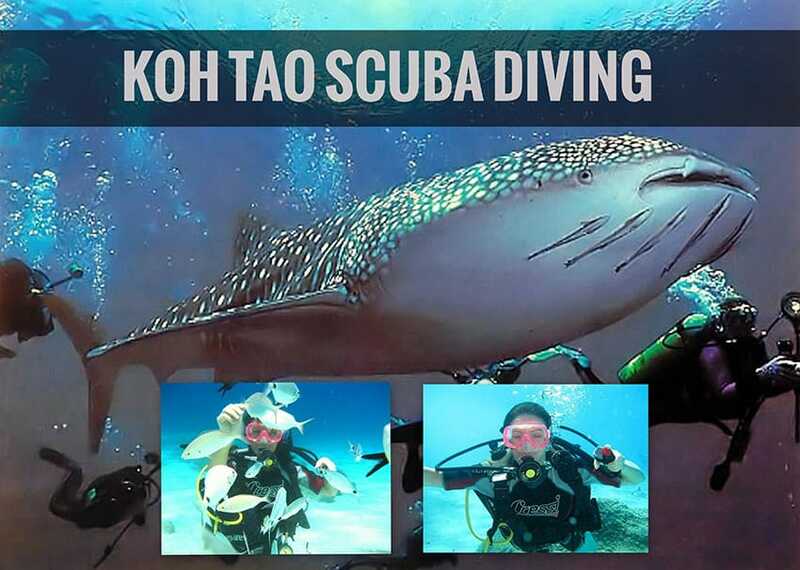 Want To Explore The Underwater World and Have An Amazing Scuba Dive Experience in Koh Tao? Why dive in Koh Tao? 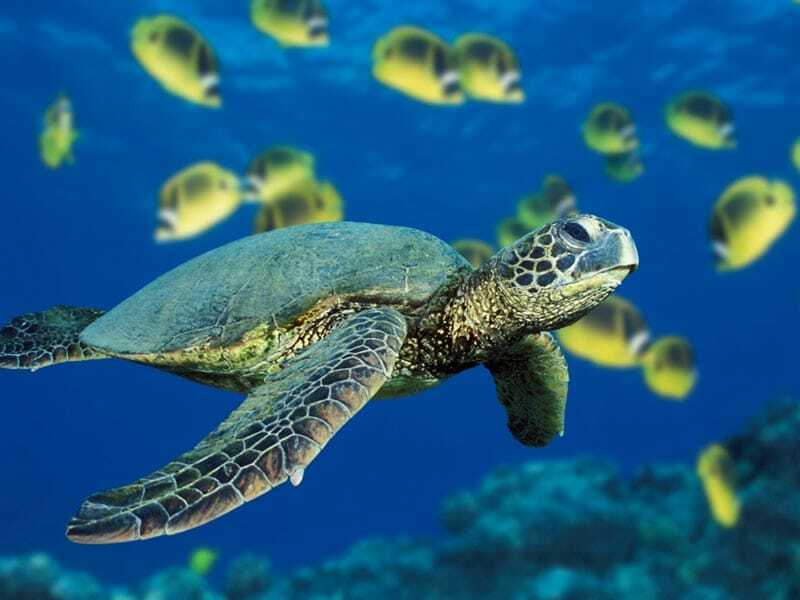 1|Beautiful Underwater Life: it is one of the most beautiful places to scuba dive on this planet, you’ll see amazing colorful corals and depending on the season, make some very interesting encounters with turtles and Whale sharks. 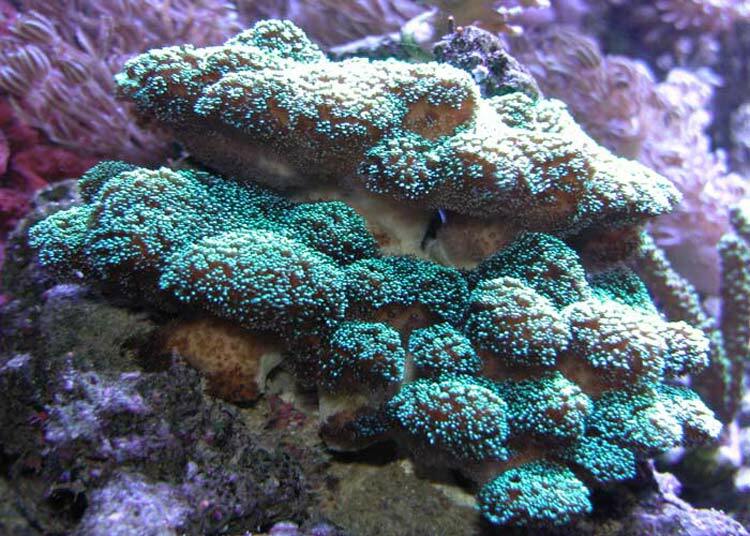 Some months are better than others for the visibility and underwater life in general (check out the related chapter below). 2| Costs: Getting your scuba diving certificate in Koh Tao is super cheap compared to any of the other countries.You will get the chance to dive in one of the most beautiful areas in the world, experience an incredible tropical island life, and on top of that get certified for diving anywhere else in the world. It is very rare that you can get such an all-in-one package for a cheap price. What are the levels of the diving courses? The beauty of scuba diving is that it is really suitable for almost anyone, from the total beginners to the most experienced people. Below are the levels available. If you are a beginner, obviously you can’t skip the first steps and jump into the most advanced courses, but you will still get the chance to experience one of the most fascinating sports in the world! Most people come to Koh Tao to get certified as an Open Water Diver. It is a short 3 – 4 day diving course. This is the basic level certification that gives you the ticket to dive anywhere in the world up to 18 meters (40 feet). This certificate opens up 80% off the planets diving sites for you to explore. 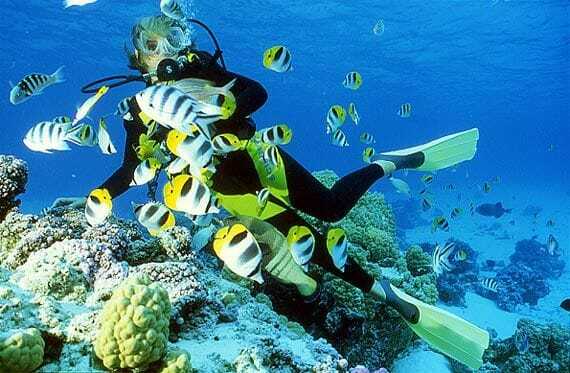 Koh Tao, being a relatively small island, has over 50 diving schools and resorts/accommodation. Each offering basically the same courses, but some exclude accommodation, while others include the whole package. So which diving school should you choose? You need to think of what you want from the course and a few general other things before you make a decision. There are so many schools, dive centers, and shops, each offering something different than the other. Do they offer the course in your language? – There are many instructors that can speak a lot of languages. They get people from all over the world enrolling in their courses, so choose one that you can communicate with easily. Do you like the instructor? – When going around the island finding a school, or even online, see if the instructor is friendly, or read some reviews. I’d say, follow your instinct. It is very important to trust your instructor when it comes to scuba dive. Are the instructor’s qualifications up to your standards? – Koh Tao certifies new instructors every day, and some schools hire the newly certified instructors. Think if you will feel more comfortable with an up-to-date new instructor, or an old-school super experienced instructor with numerous qualifications under his belt. Big or Small groups? – Some of the bigger schools have big classes while other take smaller groups. This is important if you feel a bit uneasy and think that you would need a bit of “special” attention during the dives, or get to know the instructor for some discounted dives in the future. The quality of the equipment and if it’s in your size? – Most of the schools take good care of their equipment and considering that there are so many schools, the chances that it won’t fit you are pretty slim. What is the accommodation like? – Most dive schools offer accommodation included in the course, but just have a look if it is up to your standards. You will need a good night’s rest after the dives and parties. What kind of ‘vibe’ do you prefer? – Some schools start class early in the morning, to be the first one’s out at the dive spots, while others have a more relaxed attitude so you can sleep in a little after nights of partying. So make sure to check their schedules for the dives. Which diving sites do they visit? 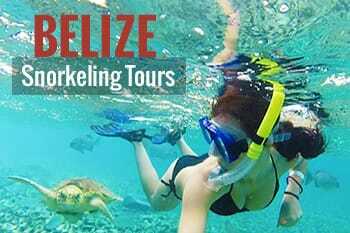 – Depending on the school, boats, or group sizes, some schools do not visit all the sites or some “Must See” diving sites. 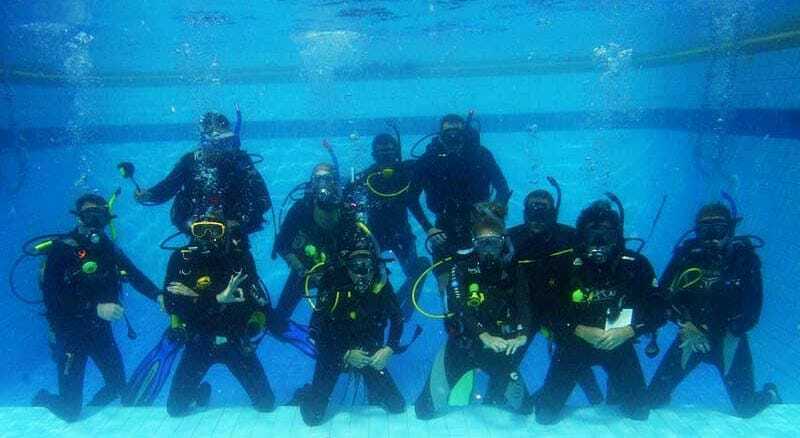 If you have a few you would love to visit, make sure the school does a dive there. Which diving course are you going to do? – If you choose to do a specific course other or more than the basic PADI Open Water course, make sure to check out what the school offers other than the Open Water, and if they also have more advanced courses suited for your needs. Now that you have all the information, you can make a decision on which school to choose. It is similar to when you have to choose which university or college to attend. Please Note: When choosing one of the smaller schools, it is not unlikely that there will not be enough students to go on a dive, so sometimes trips are canceled unexpectedly due to this reason. The basic PADI Open Water course is a three to four days course. Within these three days, you will be attending a classroom, listen to some lectures, get notes to read, watch some videos and a few not-so-difficult tests to take. Day 1: In the morning they’ll give you your manual and have your first-morning class session. You will learn about the equipment, skills and some biology that goes along with diving. You will also be shown a video on basic diving principles. The afternoon you will already take your first breaths underwater! You will practice in a pool, or at a shallow dive site. Day 2: The morning will consist of another theory classroom session, where you watch another video, study out of the manual and take some quizzes. If all goes well with the group, the afternoon you will go out on the boat for your first and second open water dive! Day 3: The morning you will go out on the boat to do dives three and four, and in the afternoon you will take your final exam. You will need to get at least 75% for the exam which consists of 50 multiple choice questions. If you pass, congratulations! You are now a certified open water diver! Please Note: This is a rough summary of the course. Schools tend to differ a little with their schedules, as some do the course in four days rather than three. If the instructor sees that someone is still uncomfortable and not really confident to go open water, another day can be spent in the shallow water or the pool (which is not a bad thing, as it means that the school has your safety in mind). After you have completed the course you will receive a little certification card that allows you to do open water dives all around the world! No need to have a professional diving with you, but remember, never go diving alone. As a buddy can easily become a lifesaver. 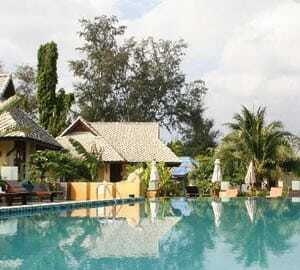 LOOKING FOR SOME ACCOMMODATION IN KOH TAO? 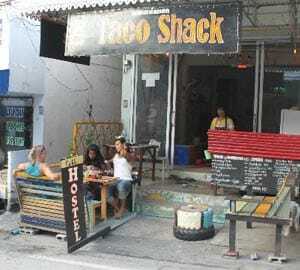 Choosing the right place to stay in Koh Tao can make or break your experience! Located on the northern side of Sairee Beach (my favorite beach for the night life!) away from the noise in the center. This tropical paradise offers some of the best diving courses on the island. Located only a 2 minute walk from the pier, this hostel offers cheap and clean rooms, wifi and a great restaurant downstairs to socialize and make your evening plans. Located on Sairee beach, this resort offers an onsite diving center as well as a nice swimming pool to relax. Close enough to the night life if you want to get a bit festive. The prices are very similar for all the diving schools in Koh Tao. Typically a PADI course will cost you around 9,800 baht (around 300$) including accommodation with a fan room. Take your time to check the accommodation, especially if you are a picky person. If you prefer, you can organize your own accommodation and that will bring the price of the course down to around 8500 – 9000 baht (around 260/270 $). Don’t be scared to negotiate a little. For your last two dives, a videographer and photographer will come along and put together a 15-minute video of your amazing experience that will be watched the final evening. The video will also be on sale from about 1000 – 2500 baht (30/75 $). You can also hire an underwater camera or bring your own GoPro if you have it (I highly recommend it, I have it and LOVE IT!). The rental will cost you around 1500 baht for one dive. Don’t forget to check out if the school has special offers running for a certain period. Some schools also have special packages that include some fun free dives at a small additional fee. 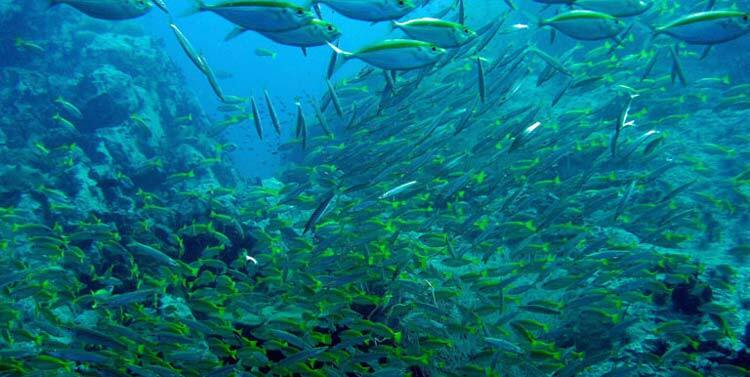 Located about 40 min from Koh Tao by boat, Chumphon is one of the most popular dive sites around Koh Tao. The offshore pinnacle offers chances to see whale sharks (in season), and more common exhilarating encounters with reef and bull sharks. The pinnacle starts at around 14 meters and descends to 40 meters. Located on the coast of Koh Nangyuan, this site is an easy 15 minutes boat trip from Koh Tao. It offers giant granite boulders and some exciting “swim throughs”. Also well-known breeding ground of aggressive trigger fish, so be careful to not get too close. 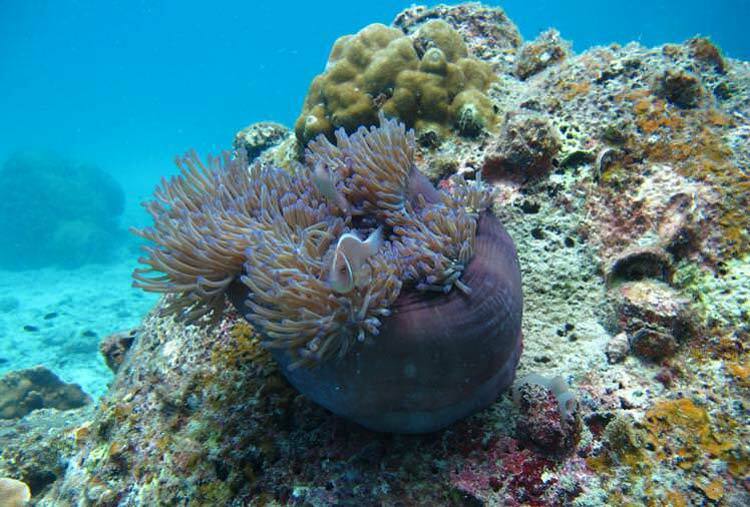 As mentioned before, they are located in one of the bays of Koh Nangyuan. Good for beginners divers, and also for snorkeling, but don’t let the easiness of this dive make you think it is not that beautiful. Deeper into the bay you can also find a shipwreck which is a good place to practice your shipwreck specialties. Located on the halfway mark between Koh Tao and Koh Phangan. Whale sharks and giant barracuda can be spotted here. There is also a chimney formation that is very popular amongst the technical and advanced divers. A series of pinnacles located 30 minutes by boat from Koh Tao. 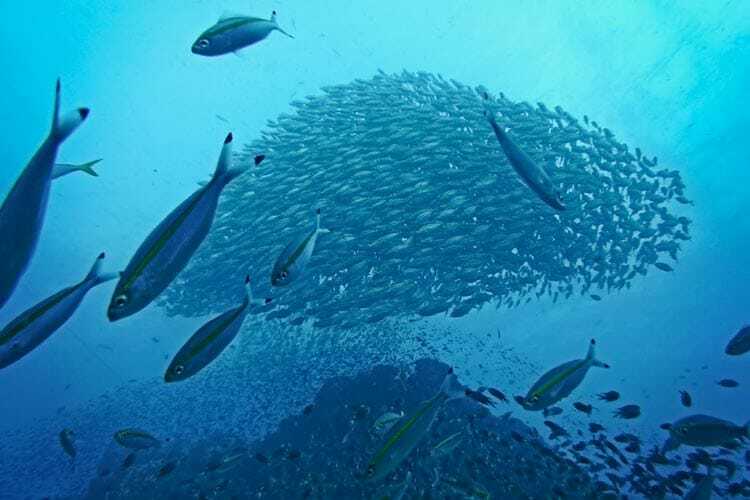 It descends to 28 meters deep and is called home by loads of barracuda, snappers, and groupers. It is a perfect location for beginner to advanced divers as well as for technical diving courses. There are obvious reasons why diving is considered a dangerous sport, considering that you are submerging yourself into a deep ocean or lake. There are lots of debates about the dangers of scuba diving, but in the end, it is basically as dangerous as any other recreational sport if the right precautions are not taken. Here are some basic tips to make sure that you make it back to the surface, alive. 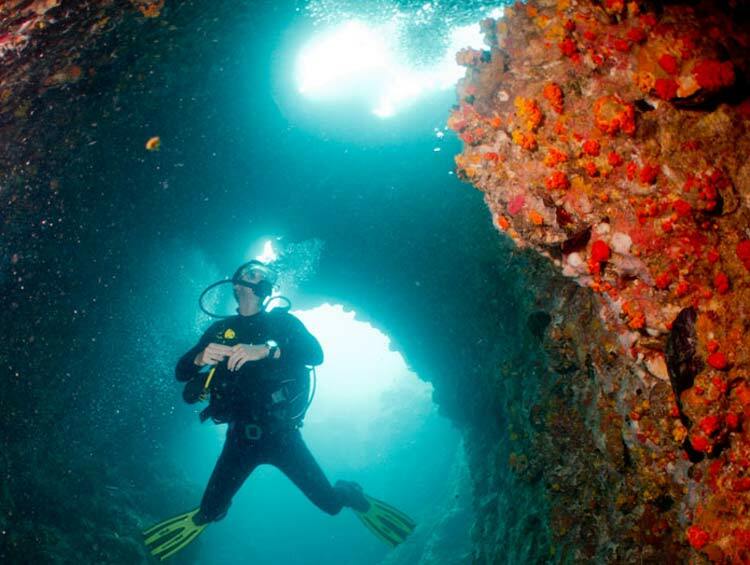 If you do not have special training for diving into wrecks or caves, rather make sure that you stay in the open water and always have an unobstructed way to the surface. Especially if you suffer from claustrophobia or you are still not confident enough with your equipment. My instructor couldn’t locate me immediately and the experience was rather unpleasant. Not to mention that when the dive was over, I had some discomfort to my ears, as I went up too fast, so my advice is: always be careful and don’t push yourself to the limits! Know how qualified and experienced you are: Stay only as deep as you feel comfortable and always within recreational limits. No deeper than 40 meters and no more than 20 for beginners. Same advice as above, never push yourself too much. Enjoy the views, follow your instructor religiously and relax! Learn from the professionals: If you want to try something new, always ask a professional to come along to show you how to properly manage every possible situation/obstacle. Sometimes a site that we consider safe for diving, might be dangerous because of underwater strong currents or other conditions. A professional will always know better than you. When I was in the Philippines I asked a professional if I could dive and he told be that it was better to wait for a few days as the visibility was quite poor at the diving site due to some underwater currents. Stay healthy: Most of the accidents in diving, even the fatal ones, happen more often than none, due to personal health issues as heart attacks and other specific problems. So keep yourself in good shape and know your limitations. It is always good to check your health conditions (especially your ears, heart, and lungs) if you are planning to get a scuba dive certificate. Be an active diver: Meaning, there are quite a lot of technicalities and procedures to keep track of while diving. If you have not taken a dive in a long time, rather do a refresher course just to get back into it and to remind you of all the ins and outs. Dive with a buddy: As I mentioned before, a buddy can become a lifesaver. And always do a pre-dive check with a buddy before entering the water. See if the air is turned on, weight belts secured etc. Also, see where the releases are for your buddy’s equipment. These easy to follow safety precautions can potentially save lives. Don’t neglect them! Use legitimate equipment: Always check that your equipment is well maintained. If you are renting, just double check and test it before jumping into the water, most companies do maintain their equipment well. Using your own? Make sure to rinse it thoroughly after dives and store it in a proper place. Following these basic rules and tips, diving can be safe and a wonderful experience to all who wants to explore the deep blue sea. Be an active diver, maintain good health, good equipment, get some buddies to come along, and know your limitations with well-planned diving trips. By doing these things you basically eliminate the danger factor and are left with amazing adventures ahead! What are you waiting for? Dive right in, get that plane ticket and get certified to explore the deep blue sea! Hey thank you for sharing this experience! I f you realy enjoy diving you should definetly go to the Galapagos Islands it is worth the money and you can dive with so many different animals, it is amazing! Seems like you had great fun there Clelia! Koh Tao is a wonderful Island! And Sail Rock is awesome. 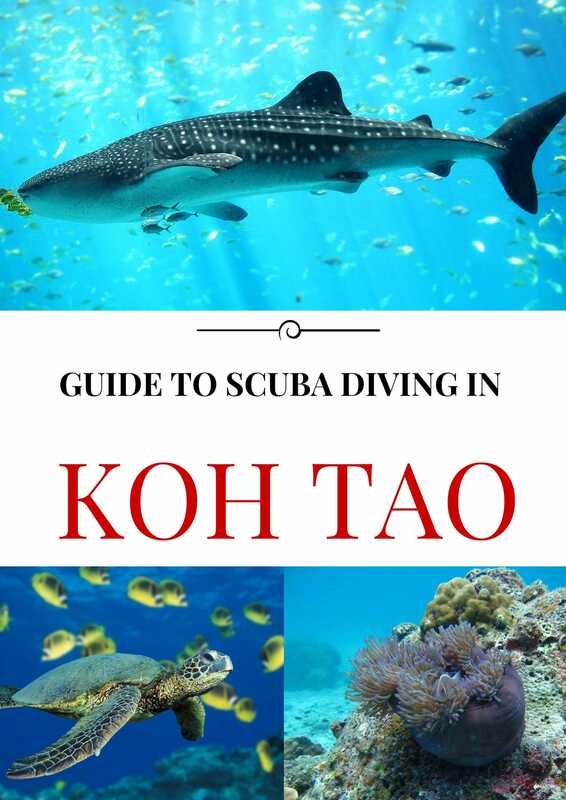 I am going back to Koh Tao in a couple of weeks to do some more diving, reading this made me quite excited! 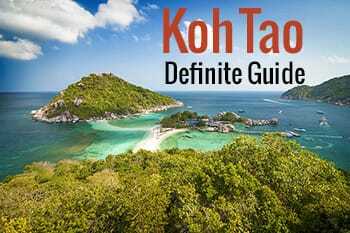 A great post for beginners looking to get certificated in Koh Tao! Great location also. Heard so many praise about the island. Does it really take only 3/4 days? That’s awesome! Your experience in Sardinia was kind of scary. I have scuba dived twice and I’ve loved it, but I remember trying really hard to stay concentrated in order to not lose control. Thanks for the post, that it definitely something I am going to do someday. Very good tips for scuba training. I will surely apply for one and will get license as well, where, I was failed for many previous occasions as well.